PISCO is a grape brandy, first introduced by the Spanish conquistadors. Chile thus has a wine – and liquor – producing tradition several centuries old. 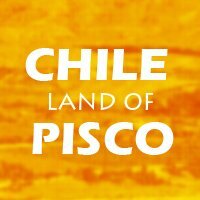 In fact, the word “PISCO” may come from a Quechua term meaning “high-flying” or “bird”. The local people were accomplished farmers and practiced terrace cultivation, a legacy from the Incas in the 15th century.